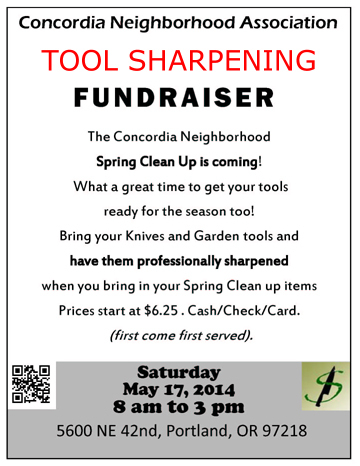 This year’s neighborhood cleanup (see post above) will feature knife and tool sharpening by 1SharpTool Edge Service. If you haven’t had things sharpened in a while, you will be AMAZED at the difference. 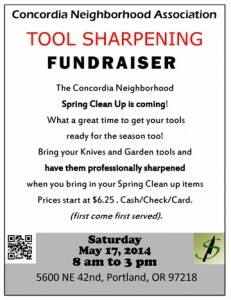 Proceeds benefit CNA! For pricing, click HERE. HERE. « The Portland Food Project Seeks Volunteer Donors to Help NE Pantries!